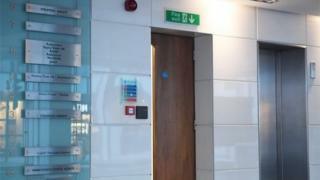 The closure of Cambridge Analytica will not stop a probe into the firm's handling of millions of people's data, investigators have said. The Information Commissioner's Office (ICO) said its investigation will still "pursue individuals and directors". And Damian Collins, chair of the Commons select committee for Digital, Culture, Media and Sport (DCMS) tweeted: "Cambridge Analytica and [parent company] SCL Group cannot be allowed to delete their data history by closing. He told the BBC: "We've got to make sure this isn't an attempt to run and hide, that these companies are not closing down to try to avoid them being rigorously investigated over the allegations that are being made against them." Mary Creagh, Labour MP for Wakefield, tweeted: "Outrageous. Insolvency used to cover up illegality". In a statement, Cambridge Analytica said it had been "vilified" for legal activities that are a "standard component" of advertising in the political world. An ICO spokeswoman said its investigators will "examine closely" the details of the closure and will "closely monitor any successor companies". "The ICO will continue its civil and criminal investigations and will seek to pursue individuals and directors as appropriate and necessary even where companies may no longer be operating." Media captionAlexander Nix, CEO, Cambridge Analytica: "These sort of tactics are very effective"
On Wednesday, a cyber-security specialist told MPs that a company he claimed was closely linked to Cambridge Analytica had worked with various pro-Brexit groups during the referendum campaign. Chris Vickery told the Digital, Culture, Media and Sport Committee that "beyond a shadow of a doubt" the Canadian firm - AggregateIQ (AIQ) - had been involved in "some form of collaboration or co-ordination" with the groups. AIQ- a Canadian data analytics firm - has also been suspended from using the Facebook platform. The company denies ever being part of Cambridge Analytica, its parent company SCL or accessing improperly obtained Facebook data. Representatives from Vote Leave and Leave.EU have repeatedly denied any wrongdoing. Reality Check: Was Facebook data's value 'literally nothing'?